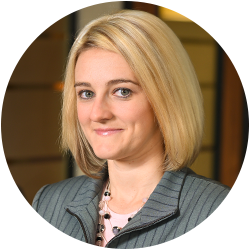 Rebekah primarily works with insurance entities, including captive insurance companies, and provides services ranging from financial statement compilations to audits. She also has extensive experience providing accounting, audit, and tax services for not-for-profit organizations. In addition, Rebekah works with companies in various other industries. When away from the office, Rebekah loves spending time with her family and traveling. Through tnAchieves, she mentors high school seniors to guide them to post-secondary education success.